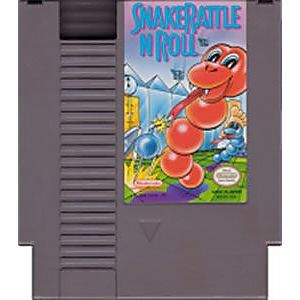 Snake Rattle Roll original NES Nintendo Game cartridge only - Cleaned Tested and Guaranteed to Work! This was another classic from my childhood. Great price. Came in great condition and works just fine. game came in fantastic condition. no scuff marks, stickers, etc. games works great. Great game with great music and fun to play. 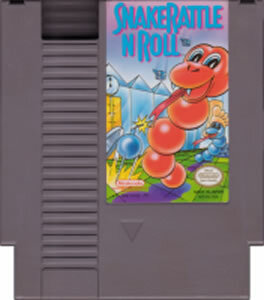 I would say that this is one of the better title for the NES. Good tense game to waste the hours of your youth, or in my case my adulthood? 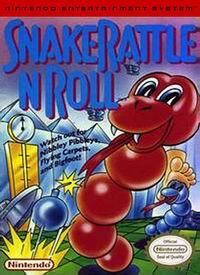 Snake Rattle & Roll is another title by British developers RARE, who later became famous for GoldenEye, Donkey Kong Country, and Killer Instinct. It's an action-puzzle game with fun and colorful graphics. Definitely worth adding to your NES collection! Game was in great Condition worked like a charm a very good old school classic NES game.